The record for the largest solar power plant keeps changing hands,. One minute it’s Africa, the next it’s India and now Australia wants to lay claim to it. As the price of solar continue to fall to become the cheapest form of energy in over 58 countries, and as solar panel efficiency continues to break records, and even harness energy from rain, the future for the technology has never looked brighter. In some respects it could be said that Australia – that country bathed in sun – has been a laggard. But all that is set to change with the announcement of a new $1 Billion combined 330MW solar farm and 100MW battery project which will be built and ready to operate in South Australia’s Riverland region by the end of this year. The prime on the project, the Lyon Group, says that when it’s completed the new combined solar panel and battery project will be the biggest of its kind anywhere in the world, boasting 3.4 million solar panels and 1.1 million batteries, and they say that the construction and installation of the solar panels will begin in the next couple of months – showing just how fast these kinds of renewable energy projects can be spun up. Compare that for example with how long it takes to plan and build a traditional power station, all be the fact that they produce more energy, and it’s arguably the same as comparing a rocket ship to a cyclist. 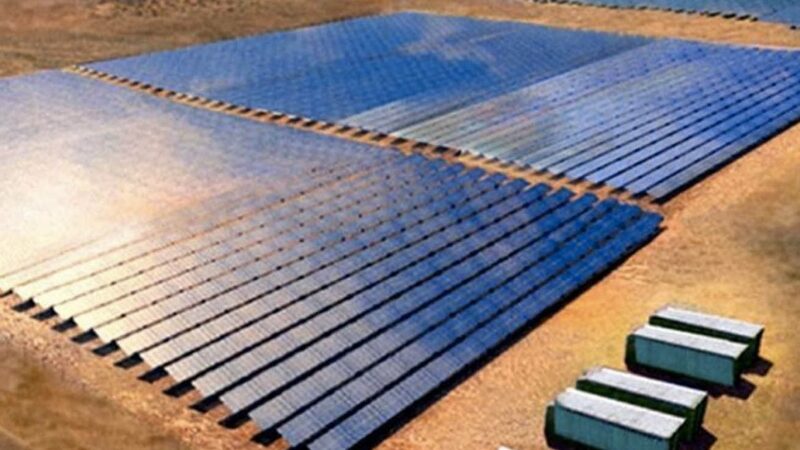 Known as the Kingfisher Project, the initiative will feature a solar PV plant and a battery storage facility that are connected to Australia’s National Electricity Market (NEM) – the wholesale electricity market in Australia – and it will be built in two stages. The first stage will deliver 20MW of solar energy and 2MW of battery back up, and the second phase will then bring the remainder online – both will begin supply the grid with energy by the end of this year. The combination of solar and storage means that Project Kingfisher can provide high quality, reliable power to large and small energy users alike while avoiding the cost of having to upgrade the grid itself. The battery installation, however, will follow on after a tender process which is due to be run by the Australian government later this year. A Lyon Group partner, David Green, says the system, financed by investors and built on privately owned scrubland in Morgan, will be a “significant stimulus” for South Australia. “The combination of the solar and the battery will significantly enhance the [energy] capacity available in the South Australian market,” he said. Green said the project, along with a similar one it plans to build near Roxby Downs, would have gone ahead whether or not Port Augusta’s Northern power station had closed in 2016. Meanwhile the Australian Premier, Jay Weatherill, commended the Lyon Group for the Riverland initiative. “Projects of this sort, renewable energy projects, represent the future,” he said. The Premier also went on to confirm that Lyon Group was among several companies bidding to win the battery part of the project, the winner of which will be announced in a couple months time, and which will be funded by a new $150 million renewable energy technology fund.